Your site is running FreelanceEngine theme. This is the extension which helps users do their payment through Braintree payment gateway. 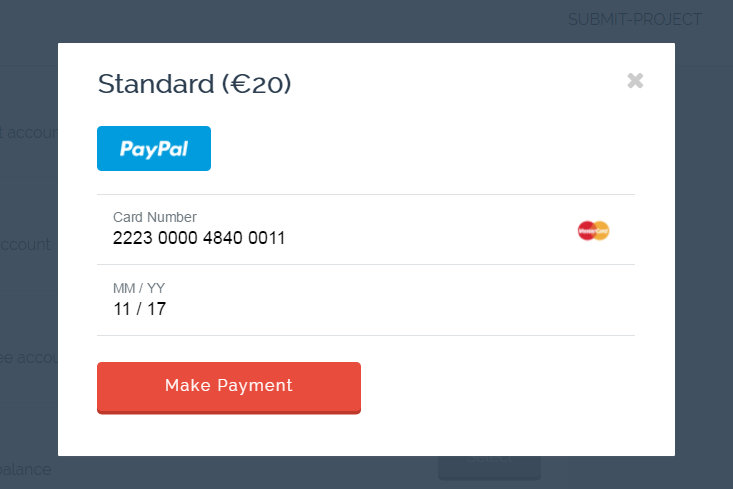 It’s quite easy to set up and use Braintree as a payment gateway on your site. 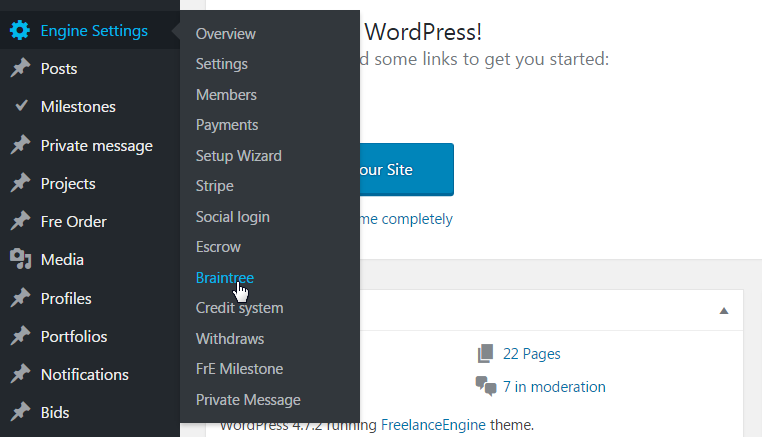 If you are located in the list of countries that Braintree currently serves, you only need to have a merchant account and your site is running FreelanceEngine theme. That’s enough!! 1. From your Dashboard, go to Plugins → Add New to add FrE Braintree plugin. 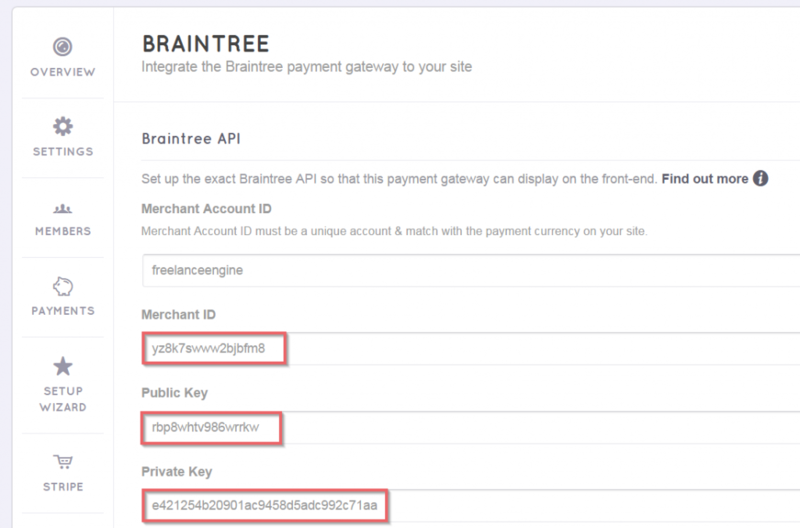 Regardless of how you connect your website or mobile app to Braintree, at minimum you will be required to provide these four values in order to process payments via the API, including Merchant Account ID, Merchant ID, Public Key, and Private Key. Log in to either the production Control Panel or the sandbox Control Panel, depending on which environment you are working in. Navigate to Account → My user. Under API Keys, Tokenization Keys, Encryption Keys, click View Authorizations. *** Note*** If no API keys appear, please click Generate New API Key. Click View under the Private Key column to see your public and private keys, merchant ID, and environment. Copy these values from the Client Library Key and fill in the Braintree API section. 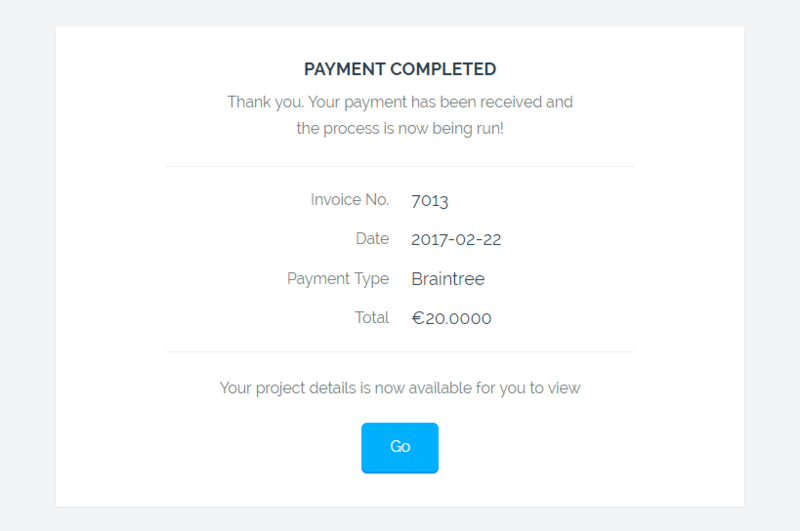 In FreelanceEngine, users can check out via Braintree when they purchase credits, package to submit project(s) or upgrade account. When it comes to payment method selecting step, choose Braintree and fill in required information to complete the payment process. Enter your card number and expiration date, or check out via PayPal gateway. Then, click “ Make Payment” button to proceed the transaction. *** Note*** In order to view reports and track your transaction, please go to Braintree Dashboard. All information are stored here, so you can easily get the transaction insights.